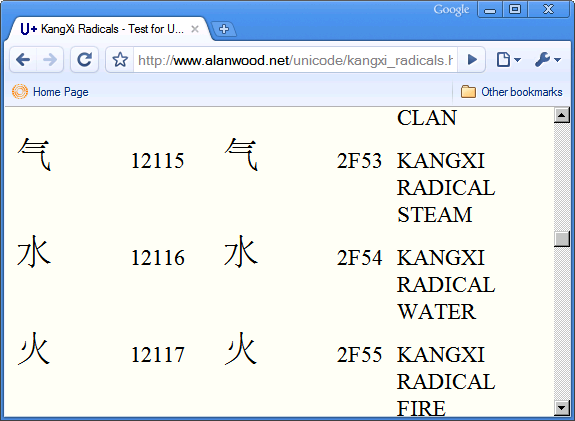 It seems to me that there is some problem (or a bug) with Google Chrome's font rendering engine. 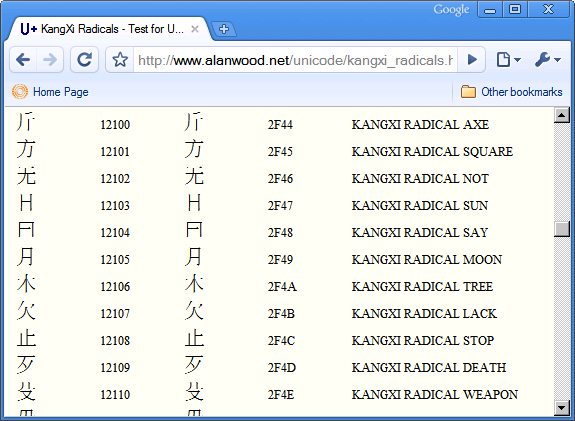 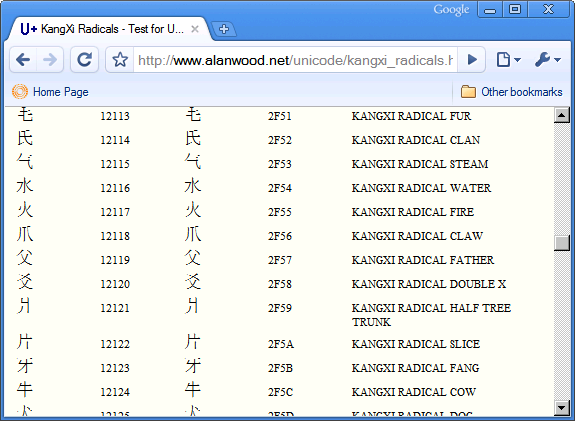 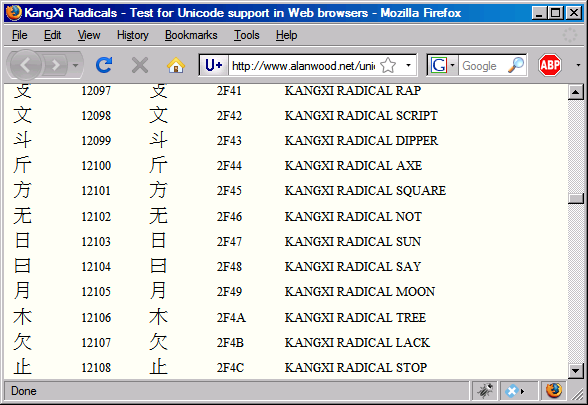 Today when I test it with the KangXi Radicals page of Alan Wood's Unicode Resources, horizontal stroke is missing in some of the characters. 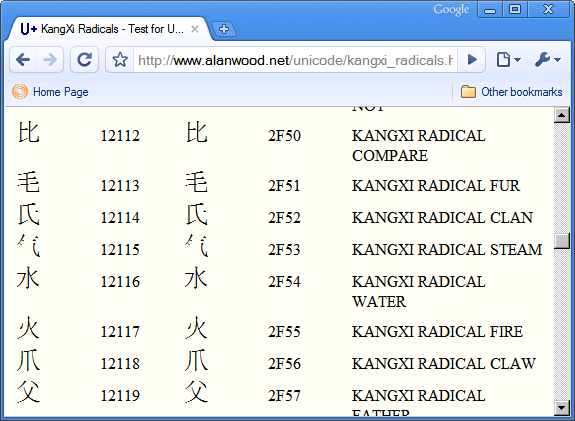 When I enlarge the font size the problem still there, happening on different characters.